The much discussed US college cheating scam “Operation Varsity Blues” that has seen 50 people charged with various crimes has really stuck with me, as well it seems with people across North America. Of course the story has a movie-like crazy scheme storyline filled with celebrities and other powerful families. It is the kind of story we love – it makes for great television. For me, hearing the story I kept thinking, really this is a thing? I admit to being one of the more naive and trusting people but I struggle to believe these kind of activities really take place in our world. The media have been full of “hot takes” on the issue, but I want to look at a different slice of the story. I have been thinking a lot about what the cheaters did in relation to the notions of abundance and scarcity in education. I continue to hear comments that degrees are less important than they used to be. 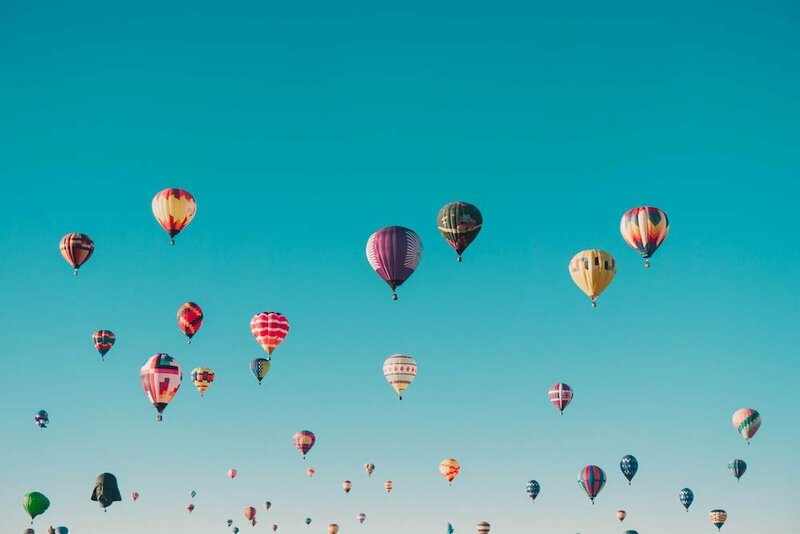 In the modern world, we have moved from a time of scarcity to abundance in education. While it definitely has some implications for K-12, the notion is most often used when we look at post-secondary. In the past, with a limited number of spaces in post-secondary we were in an information-scarce time with acceptance to university/college being the way to access the information. If you didn’t get to college or into the class, you couldn’t access the material or acquire the knowledge. Now, in the age of abundance, we have a tsunami of new technologies creating access to any content you want. You want to access the best lectures from the finest institutions in the world, you can likely do this all for free. The cheerleaders of this change see this as opening up education to millions of people left around the world left out in the past. And there are numerous stories of people picking up content online and this leading to dramatic changes in their life opportunities. Perhaps the era of credentialing being the key driver for so many professions in our world is ending? Then last week in a lecture I attended there was a discussion about the dramatic differences that exist today, and increasingly so, of the different salaries and unemployment rates for those who have high school, college or professional degrees. The data shows that more than ever (at least in the United States) the more education you have, the more money you will make, on average, and the less likely you will find yourself unemployed. I am struck by these seemingly competing messages – in the modern world you don’t need the piece of paper anymore for the degree and in the era of abundance you can have access to all the content online and gain the skills that others pay thousands of dollars to receive BUT at the same time, the piece of paper may be more valuable than ever as an indicator of how successful you will be professionally. So how does this relate to the cheating scam? I am struck that so many seemingly very smart and successful people would spend so much money and put themselves and their families at risk to try to “hack” the old system and find their way to the top in the scarcity model. If it is true, that it matters less where one goes to school, and the degrees that one has and matters more what one knows, the competencies they exhibit and how they apply their knowledge (and this doesn’t have to be through school) – then these 30+ families sure risked a lot for something that really doesn’t matter as much anymore. And I realize it is far more complicated than this. I am sure there are numerous status-related motivations why some of these people did what they did and it was not just about them deciding trying to criminally bypass the old model. Perhaps for them education scarcity was a better bet than embracing a modern notion of educational abundance for their children. I am a little less naive than I was a week ago about people but still have no clearer idea on what the future of learning and credentialing beyond grade 12 will look like going forward. Will elite universities continue to be places that people will apparently be willing to lie, cheat and steal to attend or will the era of abundance mean that we no longer value the elite university credentials the same way we have for many generations? I have lost track of an exact number but I am well over 50 classes visited this fall. I wrote before about my goal to not just do a walk through, but have some sustained time in classrooms. And there have been amazing takeaways from the classes I have visited. 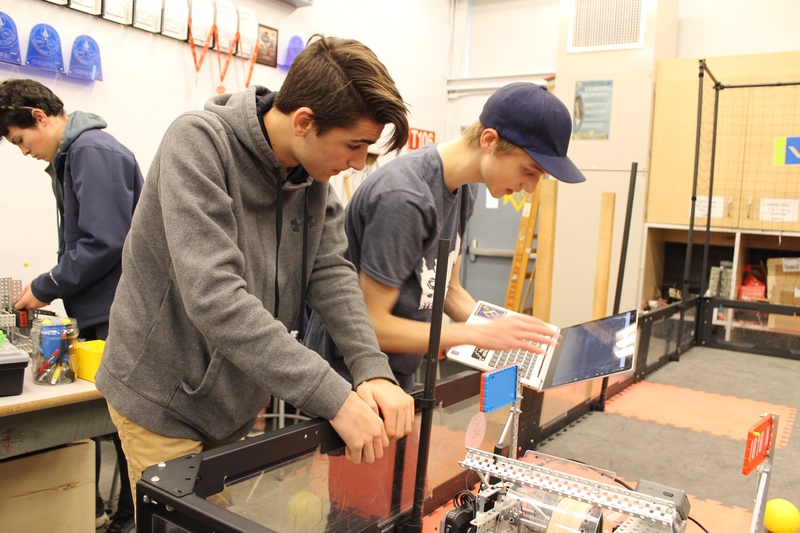 One visit, now a few weeks ago that I continue to think about was my visit to the robotics program at West Vancouver Secondary. I first wrote about rob otics just over 3-years ago (HERE) as our then new Robotics teacher was taking his show on the road to various elementary schools sharing his passion about robotics. Flash forward to today and the robotics program is booming. This past weekend we had 33 teams competing in a competitive robotics tournament, and we have grown from an after school club to an at-capacity high school academy and a jam-packed elementary program. 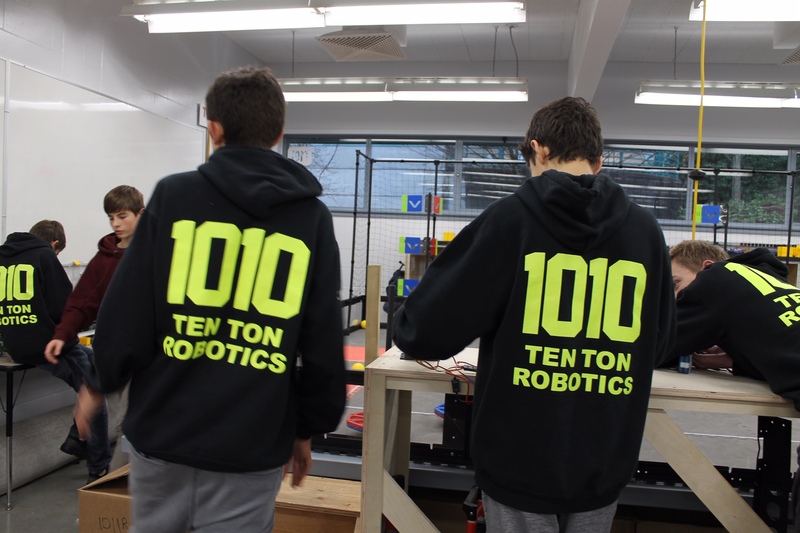 This post, though, is not about the success of the robotics program by the numbers, it is about the hour I spent in the robotics area and what I saw. I often get asked, What does student engagement look like? It looks like 60 students working together with teacher support on short-term and long-term goals. It was crazy. And the photos I have included in the post only do it partial justice. When people say that students today just do what they are told, lack initiative, are micro-managed by their parents and are not gaining real world skills – I call BS. I have so many great examples that tell me something different, and anyone who has seen our robotics students in action know the kids are going to be OK.
For me it was Alan November. 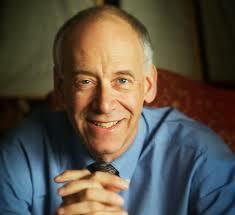 When I look at which speaker I saw who finally got through to me and made me think differently about teaching and learning, it would be Alan November. It was 2004, and the web 2.0 world was coming alive. I have seen hundreds of speakers who suggested I needed to think differently but for some reason on that fall day at the Terry Fox Theatre in Port Coquitlam, Alan November got me thinking in new ways and I never looked back. I have written on some similar shifts I have made – like My Aha Moment when I took what I heard from Alan November and brought it into my practice and My Own Watershed Moments when I reflected on influential conferences, people and presentations on my thinking. The short version of what I remember from the November talk of 14 years ago, is that we need to have students own their own learning (He would ask, “Who owns the learning?”), and some of the new technology tools can help do this in ways we had only dreamed about before. Of course, he also had some great hooks, I am sure I am not the only one who remembers him showing Dog Island, The Pacific Northwest Tree Octopus among other sites around information literacy. Some speakers just hook you in. Several of us looked back on this event and referred to it as the “November Awakening” in Coquitlam. This was the right event at the right time. Of course, we never change our thinking based on a 2-hour-talk, but sometimes we can look back on certain sessions that really helped pull our thinking together. So, who was it for you? If you had to identify one speaker you heard who changed how you think about your practice who would it be? What was it about that speaker on that day that led to a change of thinking? 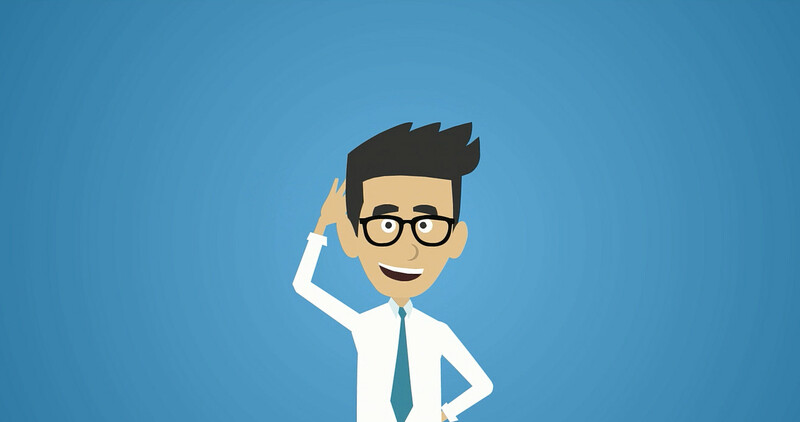 Just what does a superintendent do? It is a question that I have tried to tackle a number of times in this blog over the last several years. The job is a bit what you make of it – as the finest colleagues I know often spend their time very differently. What is true, like so many other professions, it is changing as the world around us rapidly changes. I recently read the book, BrandED: Tell Your Story, Build Relationships and Empower Learning from Trish Rubin and Eric Sheninger. While their notion of “branding” in education brings me some discomfort, they make a powerful case for leaders being the chief storytellers. It is something I have written about before, that particularly in a world without as many newspapers and other traditional media, those in schools and districts need to more clearly and publicly tell our stories. Their book talks about not just telling stories, but creating them. It also pulls research from a range of thinkers outside of education and helps us see what is possible applying the work inside our system. And just after reading this book, I watched a story about former President Bill Clinton’s speech at the 2012 Democratic National Convention. The speech which earned him the title “Explainer in Chief” for his detailed explanation, in ways that were accessible to a wide audience, of policy directions – with clear easy to understand arguments. It reminded me of the important role superintendents need to play when it comes to education direction and policy. We bring the detail to the broader direction that our political leaders set. I think when we are at our best, superintendents do what Rubin and Sheninger outline, and tell our stories, but we also have they key role of making policy directions understandable to politicians, staff and parents. As the key conduit between government and the system, the superintendent has to be the pipeline helping the two sides connect and build consensus. Young Zhao says, “Define yourself before being defined.” We need to tell our stories, embrace the new tools and possibilities and still have the details so we can perform the roles of storyteller and explainer-in-chief when it comes to learning. 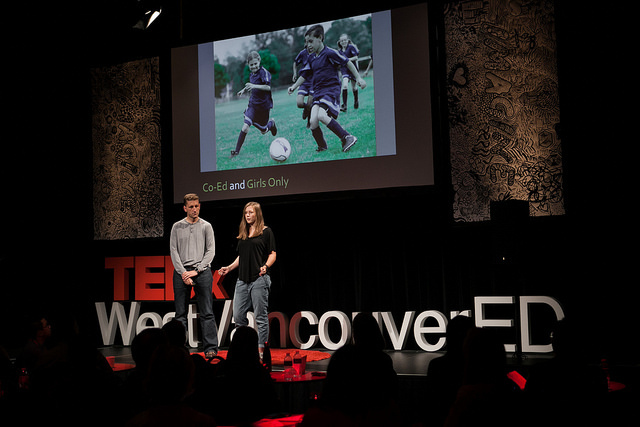 I wrote last month about Breaking the Gender Divide – Imagining a New Way to Organize Youth Sports where I shared the script for the recent TEDx presentation I gave with my daughter Liz. In the spirit of TED, it is intended to be a discussion starter. Issues of gender and sports are ones that should be given more attention. I have had the honour of some previous TEDx Talks, but this was particularly special getting to share the stage with my oldest daughter and pursue a topic that is interesting to both of us. The videos have just been posted, and I want to again thank Craig Cantlie and entire TEDxWestVancouverED team (there are so many great Talks on the website). They host a first class event, and the videos from past events have, in many cases, been viewed tens of thousands of times – which is a wonderful legacy for these events. If you are interested in other sports related TED Talks, TED has compiled a list of 31 of the most provocative. My all-time favourite TED talk, on any topic, by John Wooden speaking about The difference between winning and succeeding, is among the recommendations. How do we effectively help students harness the benefits of our digital world, while easing the negative effects of technology and making sure that children are equipped with important foundational skills like reading, writing and math? This question is often top of mind for those concerned about the impact of technology on students, particularly in our district, where we continue to lead on the adoption of digital tools for the classroom. There are two prominent issues around technology that I hear concerns about, and we have also seen these same issues play out in the news on a regular basis. One is related to the content to which young people are potentially exposed, and the other has to do with too much screen time. I’ll take these two in order to address some aspects of both. Many people believe that we can and should filter out the worst of the internet, and certainly, the provincial government and district technology teams spend time ensuring that accessible sites within our network are safe and educational. But in the real world, always-on access is a very real issue, and students participate in the digital conversation beyond our walls. Just as you wouldn’t send a child to walk to school without instructions and some certainty that they understand and can handle the risks, students need to harness the skills that allow them to use technology responsibly, safely and ethically. Neither teaching nor parenting is an easy job, and most everyone would agree that it would be irresponsible to leave the role of responsible technology use up to a software package. In a similar vein, blanket internet blocks do not work, partly because students are very adept at getting around such restrictions and then sharing that information with their peers. In an era of fake news and alternate facts, the best defense is to guide and lead the conversation on digital citizenship, so that students can safely and successfully navigate the digital landscape at all times. 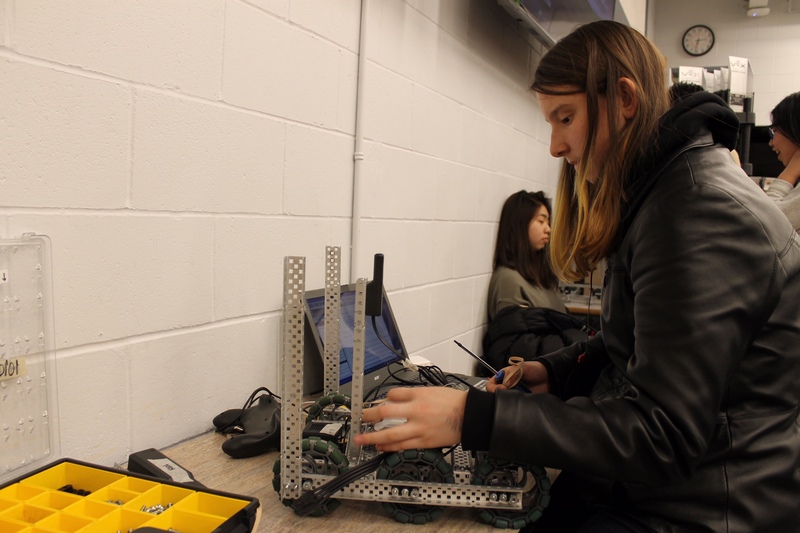 In West Vancouver, students learn how to find and validate sources and use the vast promise of technology to design, produce, collaborate and demonstrate their learning. This is a vital skill, and parents and educators who share concerns about student well-being and success should embrace the promise and the challenges that technology in education brings. Fear of the unknown is certainly a factor in some quarters, but for those unfamiliar with technology, or the policies and best practices in place, there are resources that can help. There is no doubt that everyone is spending more time on their devices, and if it’s purely about consuming rather than creating, that can become a problem. Like I am sure many of you, I am concerned about the mindless consumption of so many (kids and adults) in our world. But the solution is to invest more time in areas like intelligent consumption, rather than resort to punitive measures. At school, before we implemented bring your own device across all of our schools, we spent considerable time developing the skills of our staff, with a heavy focus on our role as ‘digital citizenship leaders’ – teaching the basics of online ethics, intelligent consumption, intellectual property, online safety and ‘netiquette’. Doing this well means less time spent policing the use of devices and more time getting the most out of what technology can help us do. As opposed to mere passive consumption and entertainment, we ask students to create, produce artifacts, collaborate and demonstrate their learning. They will be doing even more of this as we continue to implement the Applied Design Skills and Technologies curriculum at higher grades. The International Society for Technology in Education (ITSE) is an excellent resource on technology in schools, and is referenced frequently in our district. The “standards for students” are very helpful, as the document establishes several principles, one of which includes the need to teach good digital citizenship. Schools, in partnership with parents, are doing precisely this work. The aim is to have students “recognize the rights, responsibilities and opportunities of living, learning and working in an interconnected digital world, and act and model in ways that are safe, legal and ethical”. Schools often require that students unplug and/or close their cases. One example of this in action is what West Bay Elementary School has done by creating “phone lockers” so that students can use them when they will be used for learning, and store them safely at other times. At the same time, we value the importance of face-to-face time and focus heavily on other areas of literacy and basic foundational skills – like math lessons in the forest, reading stories to younger students and encouraging the use of our public libraries. 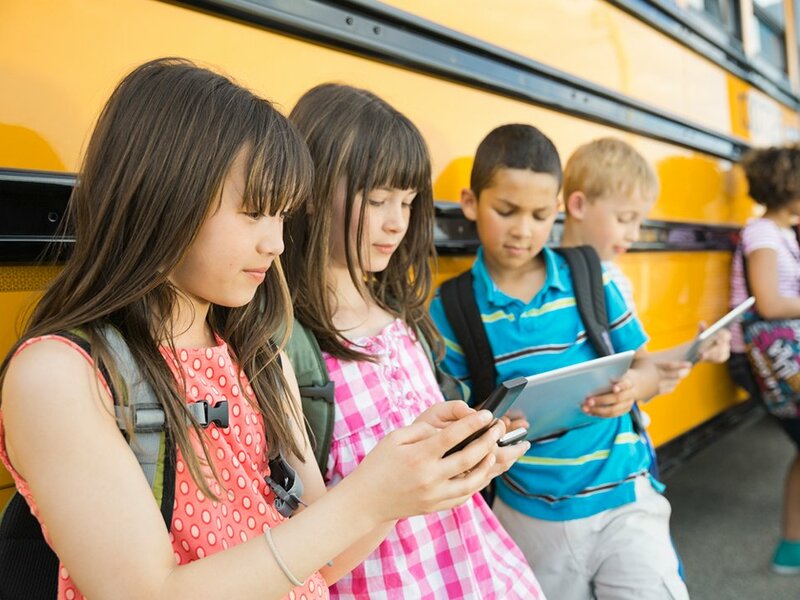 As to what parents choose to do when children are not in our classrooms, our district innovation support leader, Cari Wilson, mentions a number of great resources, along with several age appropriate tips for leading digital literacy in her recent blog post. Once students go to secondary school, I believe they need to have greater ownership over these decisions. This can be hard, for us in schools, and for parents at home. On the home front, I think it is crucial that parents act as good models for the use of technology. Excessive consumption is a tough pattern to break, once it’s set in. But it is up to each of us to model and guide the young people in our care, and we urge every parent to take an active leadership role. I am amazed at the work students are creating, that we could not have even imagined a few years ago. 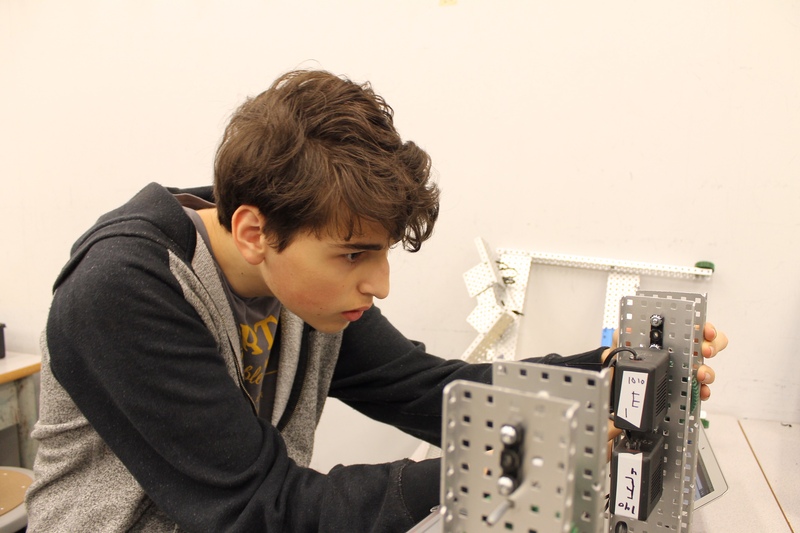 I see students building and programming robots, creating videos they share with the world, and digitally connecting across the district and around the globe. I also think there will be far more technology in our schools (and our lives) in 10 years than there is today. We have a responsibility to see that as technologies shift, we find ways to use it, and not be used by it. Thanks to West Vancouver Communications Director Bev Pausche who assisted with this post. A similar version of this post was also published on our District website. I feel a little late to this conversation. The idea of using digital badging is not new. For the last several years I have seen blog posts on the topic, and at online learning conferences seen speakers talk to the possibilities of using badging in education. It is a conversation that I have not given a lot of attention. It seemed to be one driven by digitally passionate teachers in select schools, and did not seem to be growing. It also seemed one more focused at post-secondary than in K-12. And from a cursory look, I thought we might really be talking about digital ribbons and trophies – and I didn’t think we needed those. Badges are a digital representation of a skill, behaviour, knowledge, ability or participation in an experience. What makes this digital symbol unique is the attached metadata. The metadata of a badge is “baked-in”. The “baking-in” process allows issuers to provide information about why the badge was earned that is then attached to the badge image. This information, or metadata, attached to the badge will include the criteria for earning the badge, the issuing organization, and evidence of earning. Kids today build their reputations in a much different world. They move seamlessly between offline and online networks, some with dozens of virtual peers who share similar interests, often spending hours together as they learn and share new skills. They create websites, produce movies and play video games where they earn badges and have followers and friends they may never meet face-to-face. The digital badging program has supported many students throughout their academic journey by providing credentials to open doors. As students develop 21-century skills such as collaboration, critical thinking, invention, information literacy and self-direction inside and outside the classroom, they have the capacity to earn evidence-based credentials. It is with some of this recent reading that timing was interesting, as this past Friday I was asked to be a speaker and “Instigator” at the BC Open Badges Forum – which featured a cross section of people ranging from curious to passionate in the use of badges throughout education and outside of education in “the real world.” The notes from the day (HERE) and the conversation at #BadgeBC on Twitter are both useful to see the thinking of the group. As I often have written, it is an exciting time in K-12 education in BC, and one of change. We have revised curriculum from K-12 which focuses on big ideas and is less about minutia that dominated curriculum in the past, there is a commitment to core competencies throughout the system, including having students self-reflect, there are districts looking at new ways of communicating student learning to students and parents, and notions like capstone projects or passion projects are becoming more the norm in both elementary and secondary schools. There is also a genuine commitment from those inside the K-12 system to find better ways of recognizing the amazing learning that students do outside of school, but is part of the package of their learning. It is in this context that I wonder about the place of open badging and the opportunities going forward. I don’t think a collection of badges is going to replace a traditional report card or transcript, but I do think there are possibilities that if our learning partners like the library, community centres, museums, sports clubs and others looked at badging as a way to share what students have done, we could find a way to recognize it inside our system. I know our very forward thinking public library, the West Vancouver Memorial Library, is already beginning to think about this. 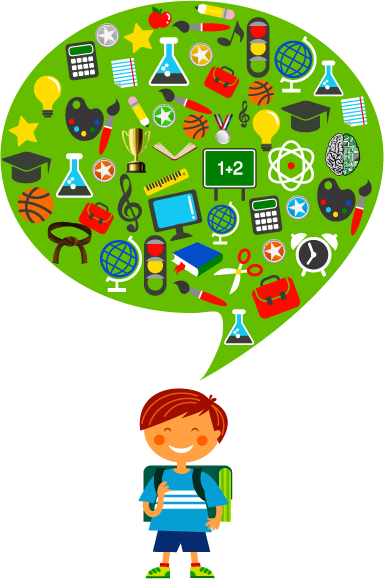 We want students to have portfolios that are rich in information from their school experience but also their larger learning experience, and maybe badges have a role to play. We have long found ways to give “credit” for students who reach a certain level of Piano, or make a Provincial Soccer Team, or earn a trades credential – but there are so many other areas that are part of learning but marginalized as part of a student’s learning record. Two months ago, if asked I would have said digital badging in K-12 felt like a bit of a fad, and maybe something for a very small small group of teachers and students. My thinking is shifting. If those working with youth can begin to create micro-credentialing in the digital world, and do so in an open-source way that allowed others to do the same, I think we could begin to find meaningful ways of including it in our work. 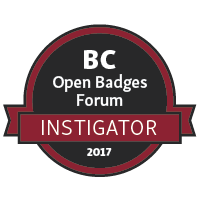 I am curious to hear the experiences of others in the badging world.